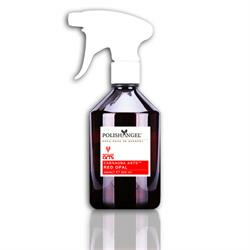 Extremely easy on and off, finish the whole car, an Octavia in about 10 minutes, It gives a luxurious deep shine and beads water very well, The bottle appears tiny but does go along way, adjust the nozzle to give a fine mist and it works really well. I also reccomend wearing some gloves as the spray soaks through a microfibre and leaves you red handed. Would have given 5 stars but it is just a little pricey for the amount you get. Very easy on & off spray wax. A little goes a long way. Would recommend using gloves. First use, by my wife (she's the expert with the spray coatings), resulted in stained RED hands! Thanks for saving me a trip into town you guys!